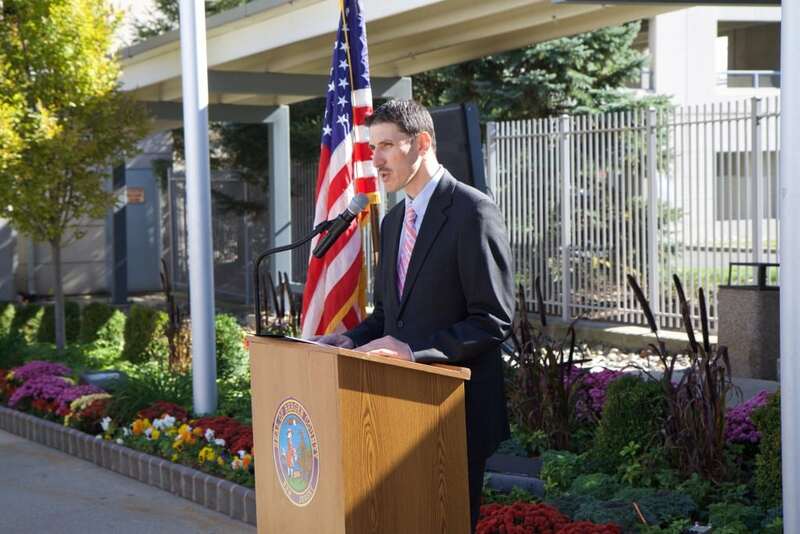 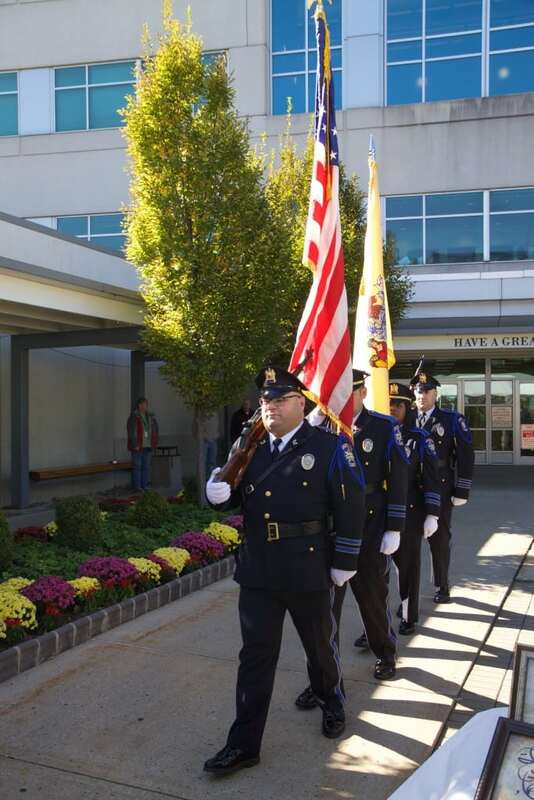 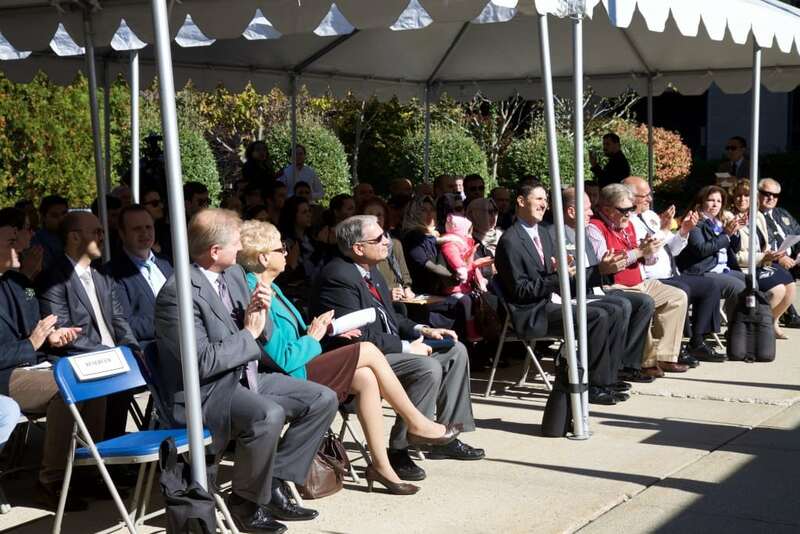 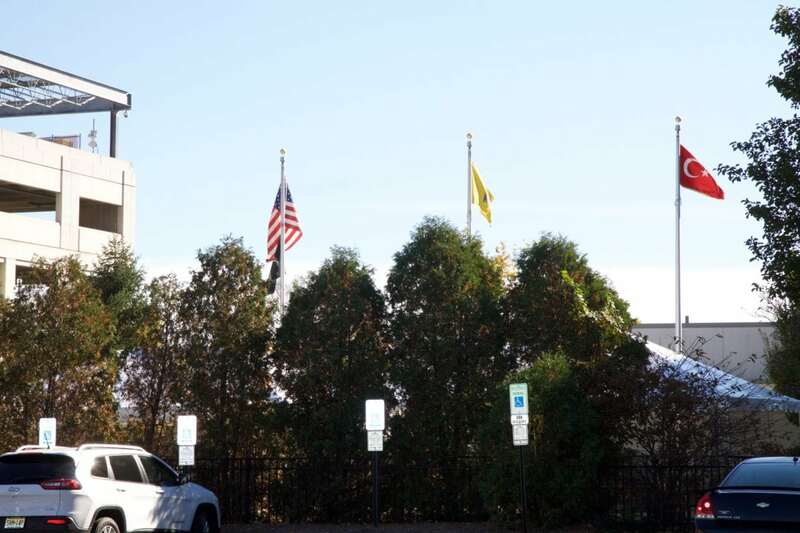 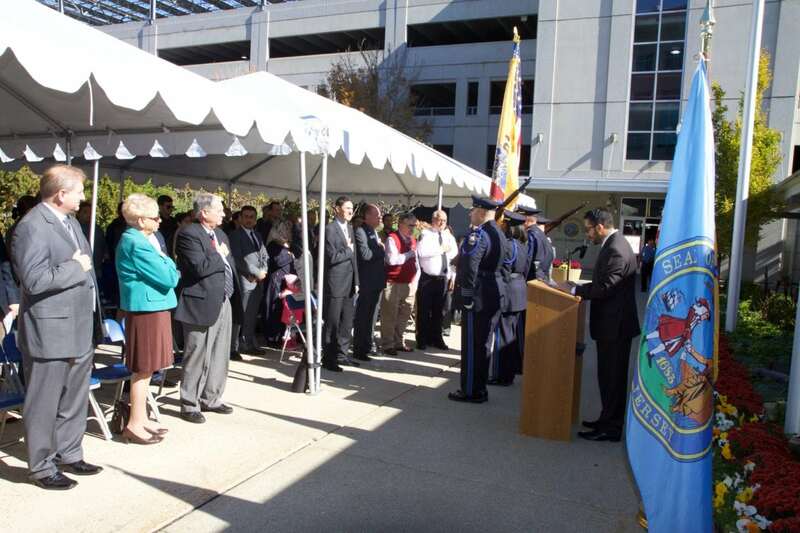 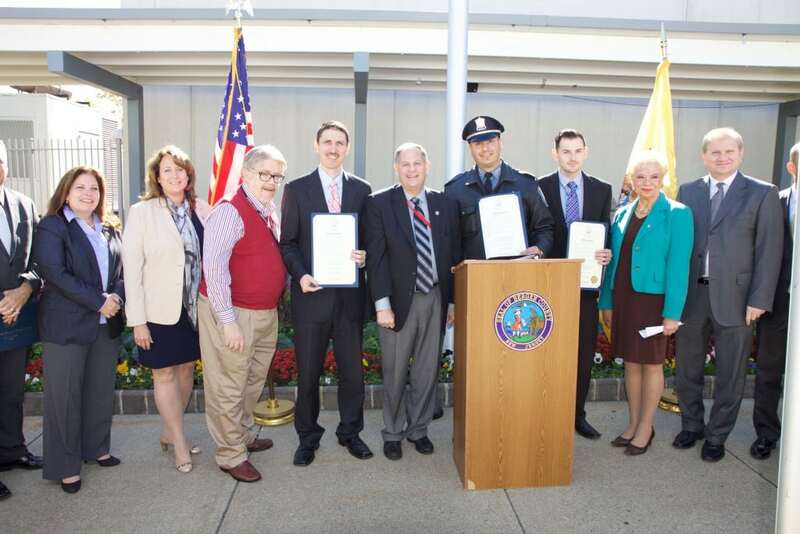 County Executive James Tedesco along with Sheriff of Bergen County Michael Saudino as well as some Freeholders attended the Flag Raising event. Program starts with Master of Ceremonies Michael Pagan`s welcoming remarks and Bergen County Police Department`s presentation following Pledge of Alligiance recited by Cliffside Park police officer Yakup Zoklu. 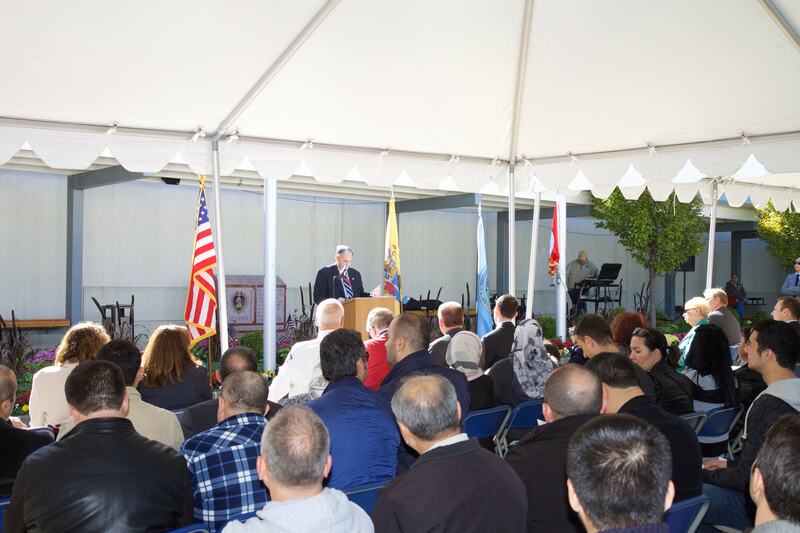 Then, County Executive James Tedesco and Turkish Cultural Center New Jersey President Oz Senturk gave a speech about the importance of the day. 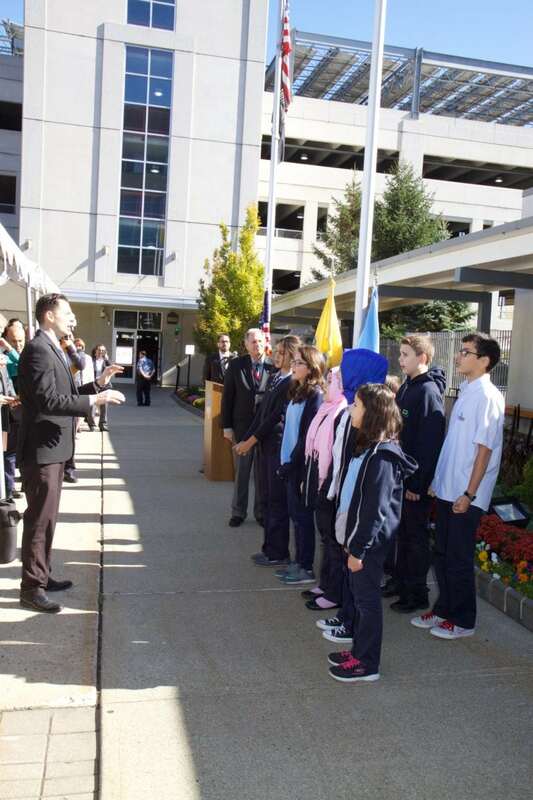 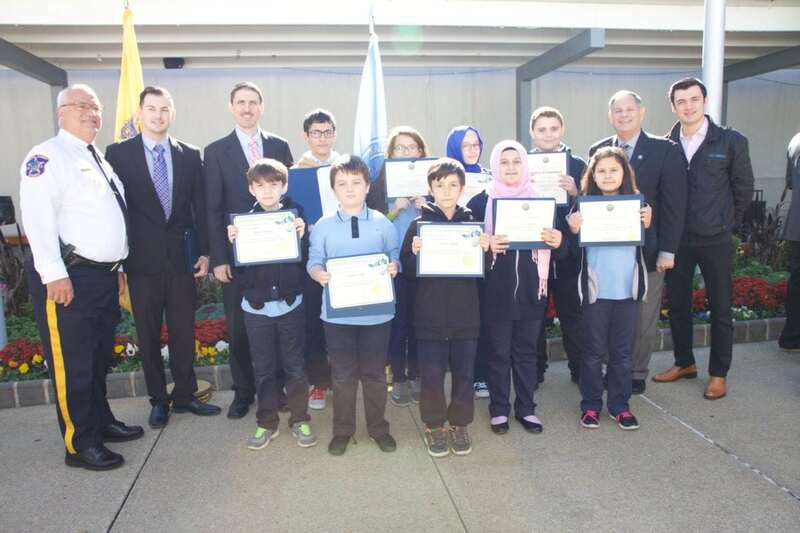 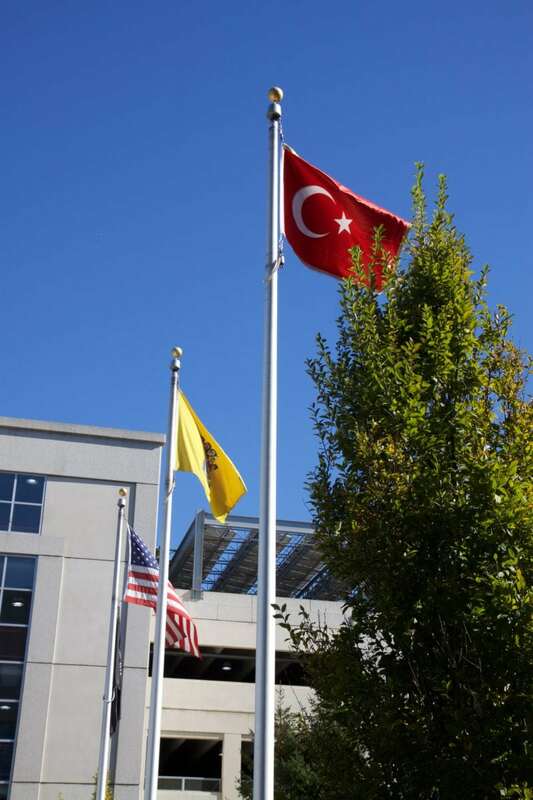 Turkish students from Pioneer Academy of Science, recited Turkish and American National Anthem with audiences. 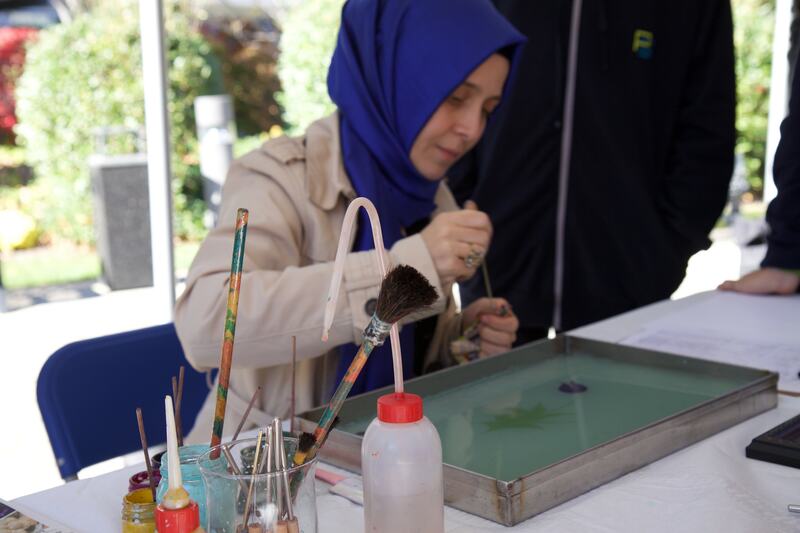 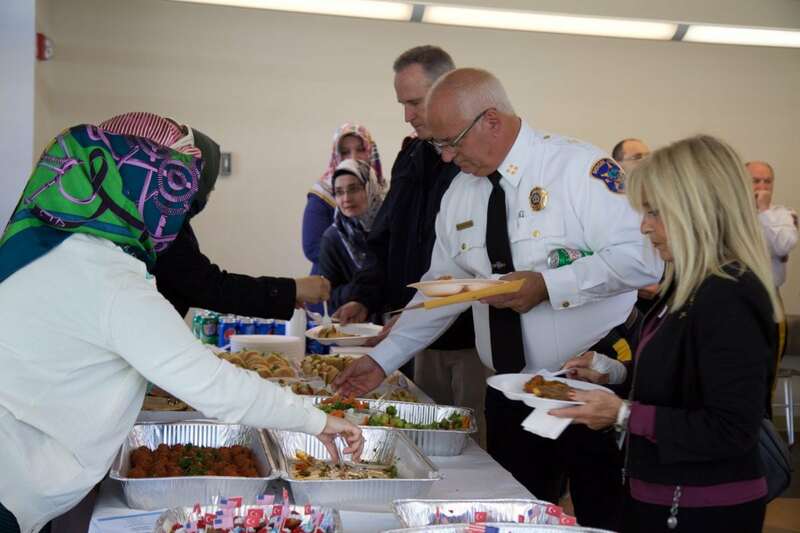 After Freeholder Tracy Hilna Zur`s closing remarks, guests enjoyed with delicious turkish food, Ebru – Water Marbling and Turkish Calligraphy.